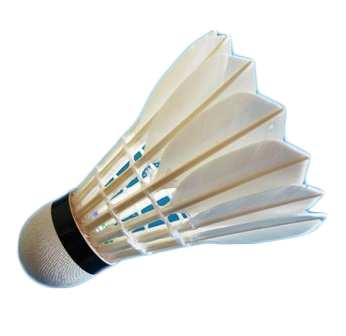 Harborough Feathers Badminton Club complies with data protection regulations regarding the personal information the club holds on its members and the club officers. We regularly review how we collect, use and store that personal data. The club officers understand the organisation’s obligations regarding data privacy and security. Any personal data the club holds is used for the purposes of communicating with members to keep them informed of badminton club activities and opportunities, and to issue reminders on fees, payments and fixtures, and to notify changes to any of these. It is a statutory obligation for the club to hold details on its members along with corresponding contact details. Once a member has left Harborough Feathers Badminton Club, we will retain contact information for as long as required to provide notification of incidents or opportunities that may arise that might affect former members. Such information will normally be deleted 190 days after the last day of the season in which the member left the club, unless there is a specific statutory requirement for the club to keep that data for longer or to delete that data sooner, or a request from a member to delete that data sooner. Data protection regulations grant individuals the right to request a copy of the personal data held by Harborough Feathers Badminton Club and to request the deletion of personal data where, for example, the data held is no longer necessary for the purposes for which it was collected, or where consent to its processing is withdrawn. Such requests should be made via email using the email address given on this website. An officer of the club will respond within 30 days of the request. Exceptions to this right may render the club unable to make all information available if, for example, we are legally prevented from disclosing such information, or if requests received are manifestly unfounded or excessive. Further exceptions exist regarding requests for data to be deleted, for example where a statutory obligation requires the club to retain such data. We may require proof of identity or other personal information before we can process enquiries. Harborough Feathers Badminton Club aims to keep personal data accurate and relevant and is happy to update such data if instructed to do so.